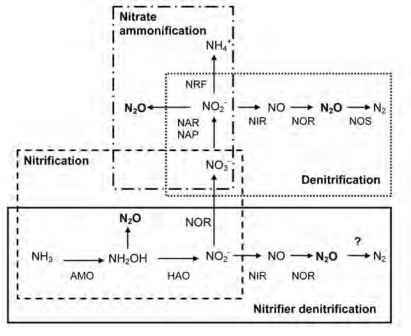 Soil microbial N2O production occurs via nitrification (ammonia oxidation) and nitrate dissimilation (denitrification and nitrate ammonification) pathways (Figure 2.1). These processes rarely occur in isolation, with possible competition for substrates under near-limiting conditions, and the possibility of transfer of N2O or intermediary products from one process to another depending on prevailing environmental conditions, microbial community structure and location within the soil matrix. This means that N2O produced during several processes may form one pool before being reduced to N2 during denitrification. This representation of biological pathways of N2O production reflects fairly recent advances in understanding; until the 1980s N2O emissions in terrestrial systems were solely attributed to denitrification. Whilst denitrification may often be the predominant source of N2O, particularly following rainfall events or application of NO3~-based fertilizers to moist soil, these are not always the prevailing conditions, and there is a growing body of evidence in support of ammonia oxidation contributing to N2O fluxes. 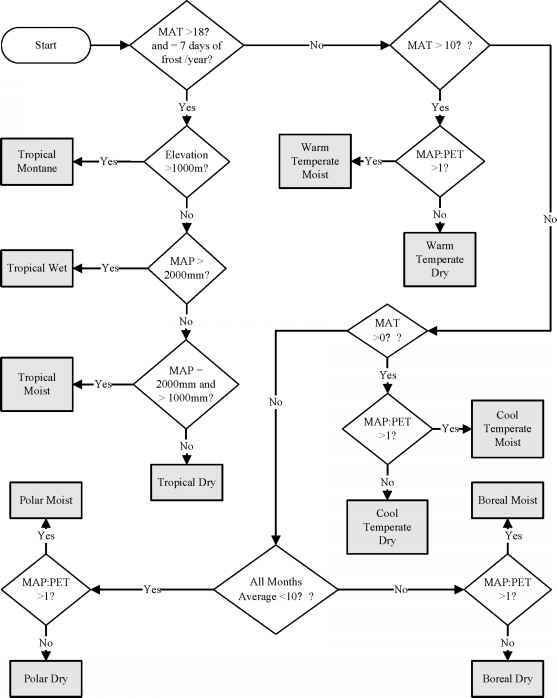 denitrification (Lloyd et al, 1987; Bell and Ferguson, 1991) and co-denitrification (Laughlin and Stevens, 2002), interactions with the carbon (C) cycle, such as methanotroph-dependent denitrification (Islas-Lima et al, 2004), and the potential for microbial groups to switch function under certain conditions, such as N2O production by methanotrophic bacteria in the presence of NH3 (Ren et al, 2000).